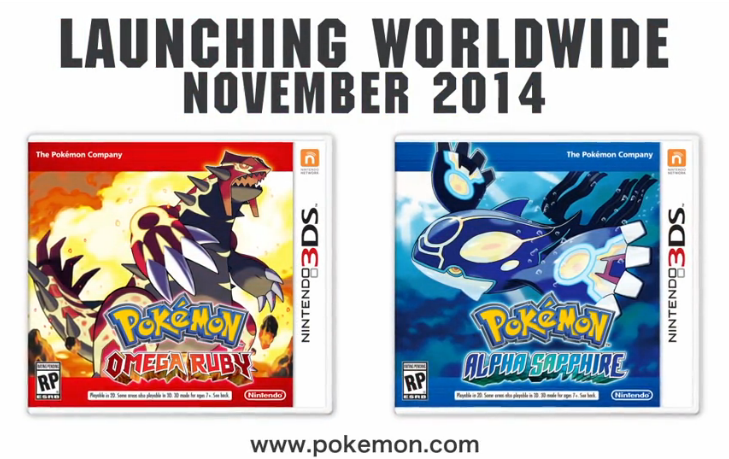 Pokemon Ruby/Sapphire 3DS remakes announced! It's finally happening. The Hoenn region will come to life in glorious 3D come this November as Omega Ruby and Alpha Sapphire. We all knew it was coming, but for it to be just a year after the release of X/Y is something I don't think anyone expected. It's safe to assume they were working on both simultaneously, which would explain the subtle hints found throughout the sixth generation of games. With Smash Bros. also on the horizon, it's certainly a fine time to own a 3DS. As someone who has never played any pokemon game, ever, what would be the best one to start playing? If you have a 3DS, X and Y are, from a technical standpoint, the best put together and fleshed out Pokemon games to date, so you might as well start with the most polished, content-packed generation. If that tickles your fancy, you'll be able to go back and appreciate the other games in the series.